Vintage 1972 Photo Jackie Stewart Grand Prix Italy at Monza on Tyrrell 005. 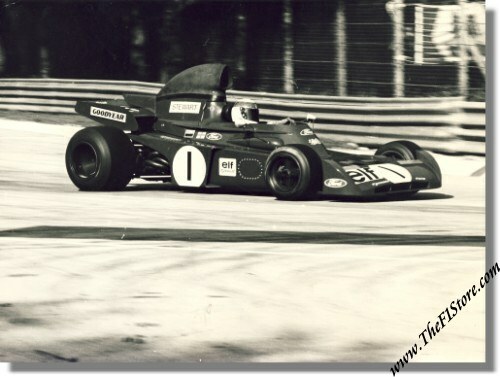 This is a vintage & original photo of Jackie Stewart in his # 1 Tyrrell 005 during the first lap of the 1972 Grand Prix of Italy at the Autodromo di Monza. Jackie failed to finish the first lap due to clutch problems.